If you’re starting to think about what to get your friends and family for Christmas, you are in luck! The paperback edition of Seabound is officially available and currently 10% off the list price of $15.99. Plus, if you buy the paperback from Amazon you can get the e-book for free! There’s nothing stopping you from buying the paperback for your BFF (you know, the one who loves SFF books) and keeping the free e-book for yourself . . . 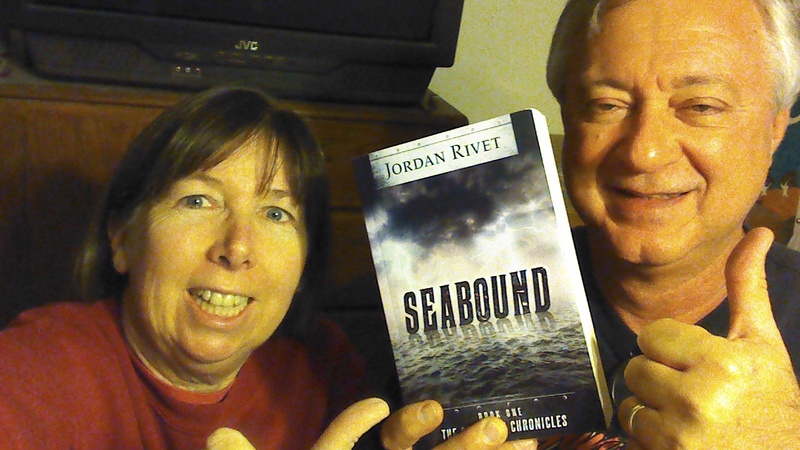 Bonus: here’s a picture of the paperback with Seabound‘s #1 fans (I gave them that title; hope they don’t mind).